When you’re feeling stuck on a work problem, what do you do to overcome that slump? Take a long walk? Visit a new place? Do an activity that is completely unrelated to your business? Stepping away from the problem is a solid method for gaining the mental clarity to solve it. In this post, however, we wanted to propose another idea. It sounds like a simple solution, and in some ways, it is. But you would be amazed at how much you can benefit from the outsider perspective your customers can provide. Just ask Brilliant Star, the children’s magazine published by the National Spiritual Assembly of the Bahá’ís of the United States. We first began working with the editorial team in 2008, when the publication wanted to update its website. As we created two subsequent versions of the site, Brilliant Star’s focus on its readers was a master class in making consumer-centric business decisions. Here are some lessons we walked away with after seeing the team in action. Co-creation, defined by Vision Critical as the process of collaborating with customers to produce new products and services, is a useful method for keeping your customers front and center of your ideation process. 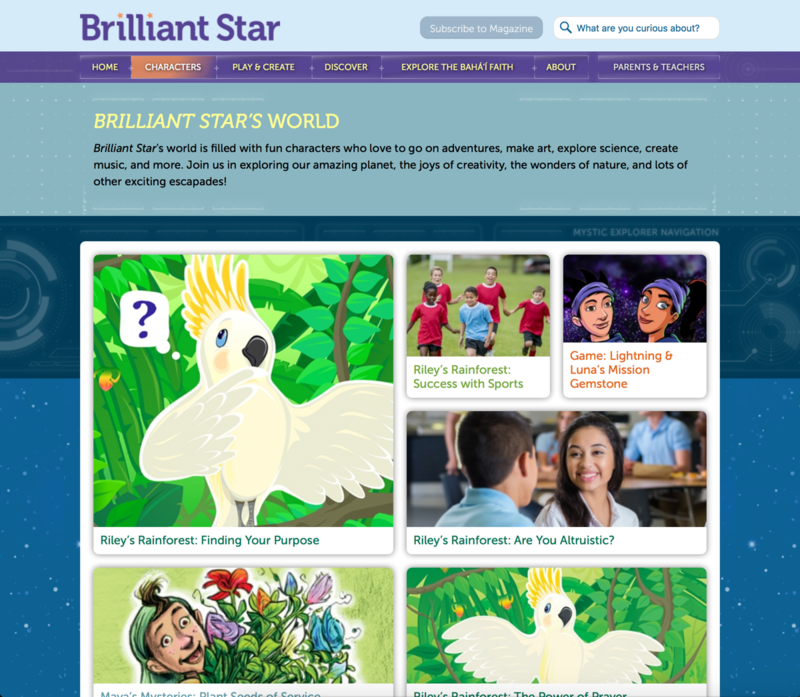 In Brilliant Star’s case, co-creation meant holding focus groups and doing interviews with its young readers to get their feedback on the new website. Because of this process, the staff identified further areas of improvement for the online version of the magazine. “We saw that website users were having some issues with the level of engagement,” says Amethel Parel-Sewell, Brilliant Star’s Editor and Creative Director. The original website was conceptualized and developed with a visual style similar to the magazine. Establishing a common language and approach is an essential step into adapting the studio to understand the culture of our clients. We made extensive use of illustrations to create a sense of locale. The website sections and pages were metaphors for imaginary places of knowledge and discovery on the Mystic Explorer ship. Co-creation can obviously be useful when you’re seeking feedback on a new website, but you can engage your customers in other types of co-creative activities, too. For instance, you can use focus groups to gain customer feedback on specific aspects of your business, such as your client onboarding process, or your approach to account management. While Brilliant Star produces content for children, its content strategy also includes work written by and about children, too. The site includes blogs in which kids write about everything from their everyday lives to their experiences of different cultures. 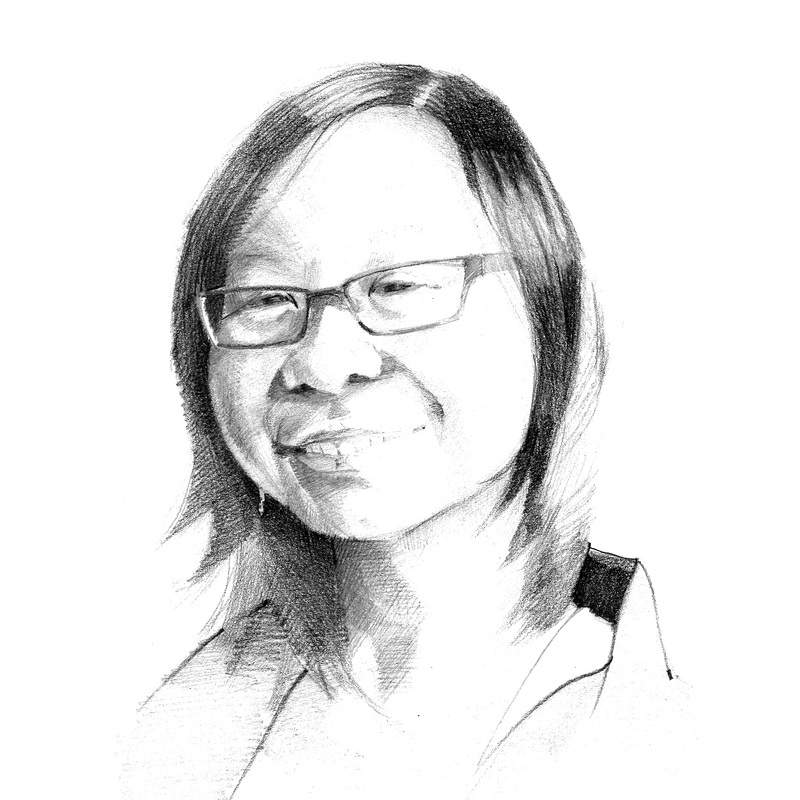 The “Radiant Stars” feature includes short interviews with readers. And the “Trailblazer” spotlights profile readers who also form the magazine’s group of kid advisors—another example of co-creation. The lesson we can take from Brilliant Star is this: If you’re ever searching for a way to invigorate your marketing strategy, your customers can be a great resource for providing fresh content. To generate new content for your social media, for example, you could ask your customers to send photos showcasing their use of your product or service–much like AirBnb does. 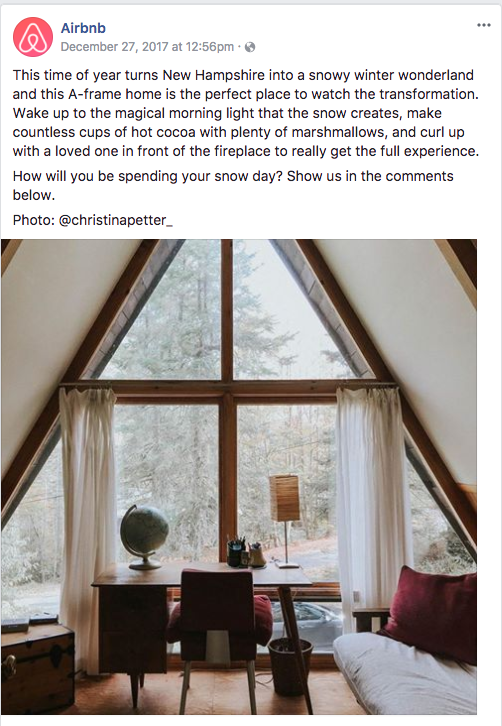 AirBnB’s social media features photos that its customers take from all over the world, with a description of the experiences you’ll encounter at those destination. If your business is service-oriented, case studies or testimonials can also be a smart way to incorporate customers into your content strategy. Salesforce has an impressive collection of case studies that can be filtered based on industry, product and business type so that different companies can learn how the software can help them. If you do not have the time or resources to commit to building a library of Salesforce-level case studies, one alternative would be to source testimonials from clients that differ by size or vertical. Asking clients about the specific problem that you helped them solve will not only showcase customer-centricity, it can also help you gain consumer trust when prospects visit your website. We use workshops as milestones to collaborate through critical parts of the project. 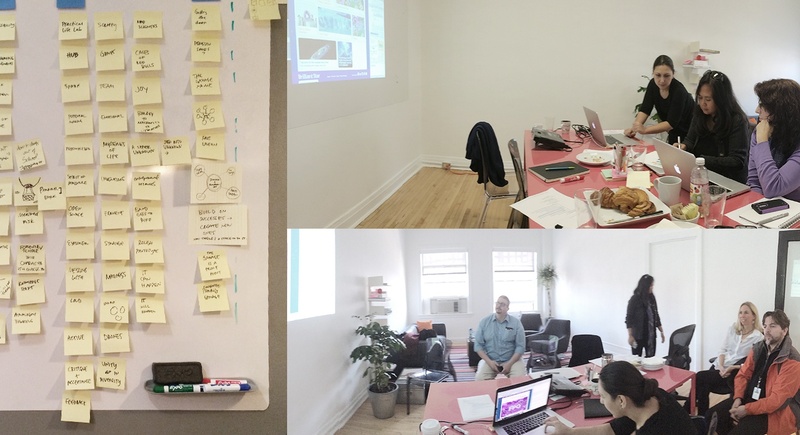 Depending on the goal of the workshop and the makeup of our group, we modify our space to enable a combination of projection, whiteboarding, a fantastic Roger von Oech’s Ball of Whacks, and delicious pastries to act as sugar boosts during lengthy sessions. Additionally, the editorial team was unable to load content into the site as easily as they wanted to, leading to a lost opportunity to entice visitors to return. 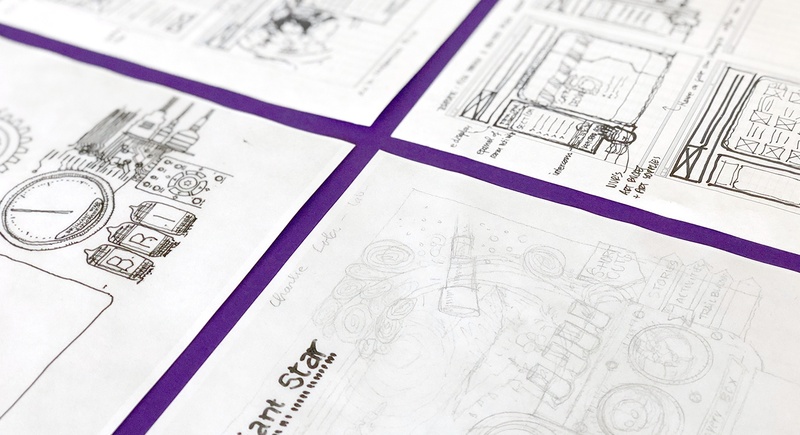 This led Parel-Sewell to decide that a new version of the site optimized for the editorial team’s workflow was necessary—a decision that took the rest of the editorial team by surprise. “When I decided we needed a significant redesign, we knew we had a big challenge ahead of us,” says Parel-Sewell. To that end, the second version of Brilliant Star Online resolved all the issues that the team had discovered with the first. The final product was mobile-friendly, easier to load content onto and more dynamic than the original. The takeaway? Asking yourself, “What is best for my customers in the long run?” can be a useful metric for making your business decisions. Of course, the question becomes more complex if you serve multiple customer groups, and you’ll have to take those nuances into account. But thinking about what your consumer wants can still be useful to consider when you’re weighing different options for your business strategy. Your customer base can be a key resource for several different situations. Whether you’re feeling stuck about where to take your business next, you’re needing to freshen up your website, or whether you’re wondering if your business strategy is heading in the right direction, try talking to your customers. These conversations can make all the difference between feeling creative and inspired, versus frustrated and blocked.